Many government agencies have implemented dig once policies to speed up broadband deployment. When new roads are being built or opened for maintenance and conduit is not already in place, “dig once” policies that involve the installation of an oversized conduit bank within the right-of-way to accommodate future users can have significant benefit. Once the conduit is in place, any company that wants to add fiber can just route their cables through that existing conduit — reducing the need to tear up the streets each time a new broadband provider wants to bring service to an area.  This simple, low-cost policy could cut the cost of fiber construction by an enormous amount, according to the Federal Highway Administration, and we urge all government agencies to adopt it. In addition to deploying fiber underground, next generation broadband deployments run cables along existing utility or telephone poles. This usually can be done faster than underground trenching and at a lower cost, but there are concerns. The flow of both sidewalk and road traffic can be disturbed, work can be noisy, and construction equipment can be an eyesore. Right now the process to make a pole ready too often works like this: a new broadband provider negotiates access to poles in a given area and then waits…and waits. Other providers or entities that have equipment attached to those poles get in line, and one after another, bring construction crews in to move their own equipment around on the poles to make way for the new deployment. This process is referred to as “make-ready.” Everyone involved in the make-ready process loses: the existing users of the poles who have to move their equipment, the community residents who suffer through weeks and weeks of construction and the would-be broadband provider, who waste money as they wait. We have released guidance on One Touch Make Ready policies, available here. Fast and reliable broadband is now rated the single most important building amenity, more important than a pool, 24-hour security monitoring, covered parking, gym access and even cable TV and people will pay more to live in a building with access to fiber. Our survey also confirmed that people who live in buildings with other units don’t just want access to ultra-high speed broadband — they want access to multiple internet service providers as well. They ranked provider choice as the sixth most desirable out of 12 possible building amenities. Many building owners and managers permit a variety of different providers to access the building and offer service because they understand how much their residents value a choice in internet providers offering ultra-high speed broadband services. Far too often, however, building owners and managers prevent competing providers from entering and offering service or otherwise limit residents’ choices. We have released a white paper exploring why it is so important for residents in multi-unit buildings to have a choice of communications offerings.The paper reviews the existing federal, state, and local laws aimed at improving consumer choice, puts forth some potential reforms that states and localities should adopt as a backstop so that residents living in apartments and condos can be assured they will have a choice of internet and video providers. We are also releasing a model ordinance that takes a balanced approach to fostering residents’ choice and while giving building owners and managers various mechanisms to control how service providers enter their buildings.We truly believe and hope that private negotiations between service providers and building owners and managers works best, and that having multiple providers compete where they’re able to is a win for everyone; for building owners who can attract and keep tenants, for providers building a customer base and for consumers who enjoy better services and lower prices. But in the case negotiations don’t work, there ought to be some backstop to help consumers get broadband choices. We invite you to read today’s white paper to learn more. Download the Residents' Choice white paper here. There are a variety of permitting and approval processes necessary to build a new fiber network including permissions to deploy infrastructure underground. In most instances, the local government or state department of transportation will control the relevant rights and processes. Both providers and local governments have an interest in these processes being efficient because digging up streets can cause disruption in a neighborhood and undue delays impede resident access to new and improved services. We have prepared a white paper that highlights best practices that any community can use to get its residents ready for new network deployments, whether fiber or otherwise. This paper addresses one particularly relevant, innovative underground deployment technique: microtrenching. Microtrenching is a process for deploying fiber that cuts thin, shallow channels into pavements, sidewalks, or existing joints, in lieu of wider, deeper trenches or underground bores. In turn, it promises significant benefits over traditional underground trenching and boring, including improved public safety (including by reducing the likelihood of striking gas lines and other more deeply buried sensitive infrastructure) and reduced disruption in public rights of way. While the practice has been around for many years, permitting processes have not always kept pace with technology. This paper concludes by highlighting ways that industry can ensure microtrenching is accomplished in a safe and effective manner, as well as simple actions cities can take to implement and streamline the microtrenching construction process. Download the Permitting and Microtrenching white paper here.